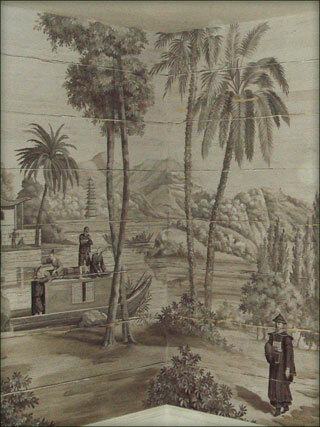 Chinoiserie is a very specific decorative art. 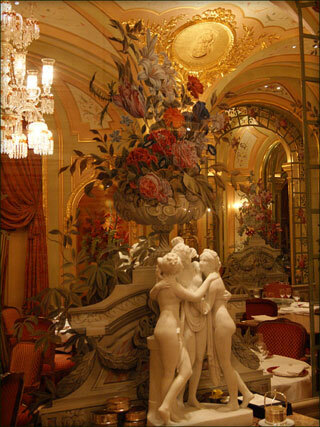 It first came to prominence in Europe mid to late 17th century; and was inspired by art and design from China. 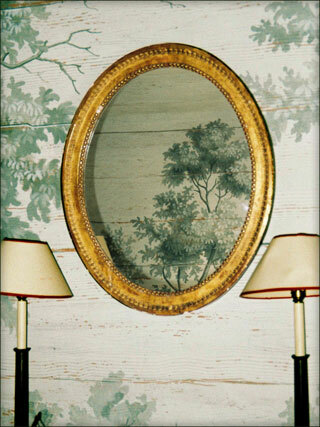 Trompe l’oeil has proved very popular with our Interior Design clients over the decades. We have taken the technique and used it for beautiful gilded arabesques. 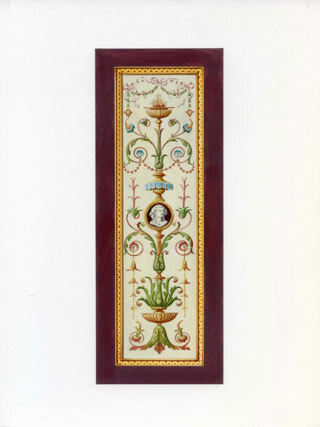 Verre Eglomise is the art of painting on the rear face of glass and then applying silver leaf to create a mirror. This technique lends itself to small pieces of glass for example a coffee table top or a large mirrored wall. 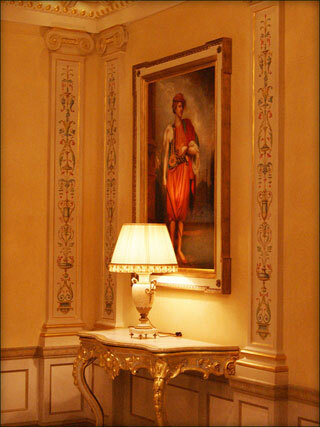 We are happy to use both water and oil gilding, depending on the client’s requirements. 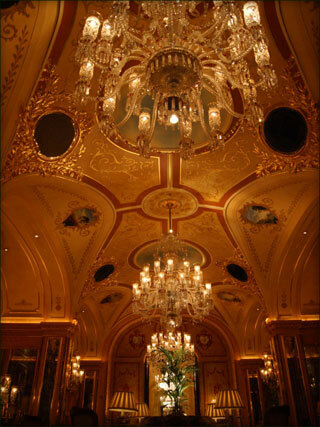 Projects include oil gilding a large coffered ceiling and then hand painting decorative floral motifs. Our range of paint finishes are extensive. 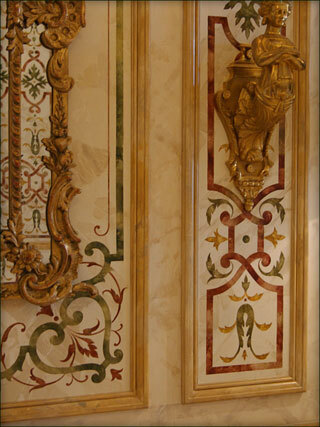 From Wood graining, to faux marble and antiqued lacquer finishes. If you have a particular finish in mind do contact us. 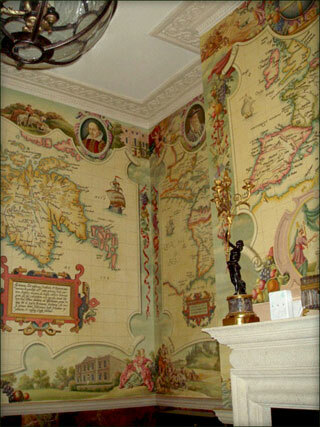 A bespoke wall covering can make all the difference when an exact colour match or choice of design motif is important. We usually paint murals in the studio onto canvas and then fix to wall or ceiling on site. However if this is not possible, the mural can be painted directly onto the surface on site. Before starting work on an interior scheme, it is usual to provide a hand painted, watercolour, design visual, sometimes together with full scale samples or drawings.